William Petty’s arrived on Irish shores as physician-general to Cromwell’s army in Ireland. His job was to reorganize and improve the efficiency of its medical service but his later and larger task became his major life’s work. This was the surveying, mapping, describing, evaluating and redistribution of the Irish lands. After the victory in 1650 of the Cromwellian army in Ireland over the large Royalist forces formed by the alliance of the Irish and Anglo-Irish, it was decided that the defeated Catholic and Anglo-Irish landowners would forfeit their estates in proportion to the help they had given against Cromwell. These lands were to be distributed partly in wages to Parliamentarian soldiers, partly to the government’s creditors who supplied the army, and partly to new settlers from England and America. The Royalists, especially the Catholic Irish, were also punished in various civil and political ways. All this required a detailed survey and evaluation of the property to be distributed and of the recipients and the extent of their rewards. Benjamin Worsley, Surveyor-General at the time, had put forward plans for this. Petty, apparently having no lesser opinion of his own abilities than his various eulogists, put forward plans of his own and undertook to execute them better, more quickly and more cheaply. He was entrusted with the work, which became known as the ‘Down Survey’. It employed about a thousand men and took thirteen months. Petty also undertook the first complete mapping of Ireland in 1673 and the first census of Ireland, for the year 1659. He was never fully paid for this work but according to John Aubrey he received a substantial cash award and was able to acquire some 50,000 acres of land in Co. Kerry including the parishes of Kenmare, Tuosist and Bonane, formerly the property of the O’Sullivans. He was also granted large tracts of land in counties Limerick, Cork, Kilkenny, King’s County (county Offaly) and Westmeath and amounting to 270,000 acres. He then became Sir William Petty. 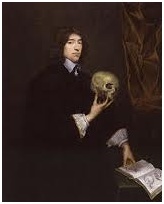 In 1662, Petty was a founding fellow of the Royal Society and moved to Dublin. Sir William Petty, “one of the most original social engineers who ever lived”, actually prepared proposals for turning Ireland into a vast sheep and cattle ranch. Petty believed that Ireland was capable of keeping six million head of cattle, which he suggested, could be most economically tended by a population of 300,000 persons. The surplus population was to be removed to England, where they would become labourers. …………………..resulting in maximum rents and raising the living standards of the Irish resettled in England to an approximation to the standard enjoyed by the English (labourer). After Cromwell the main issue in Munster and Leinster was the “Surrender and Regrant” of the land; which to tie the Irish chieftains and nobles to the English throne by making rank and title a grant of the Crown and not of the tribe. That is, Irish chieftains and nobles who were willing to surrender their titles and lands they possessed to the Queen and had them re-granted in fee simple, making them vassals of the English throne. The Anglo-Norman land-owners like the Fitzgeralds of Kildare, and the Butlers of Ormond were the first to be either beaten into submission or play both sides (the Irish and English).